Country living at its finest! 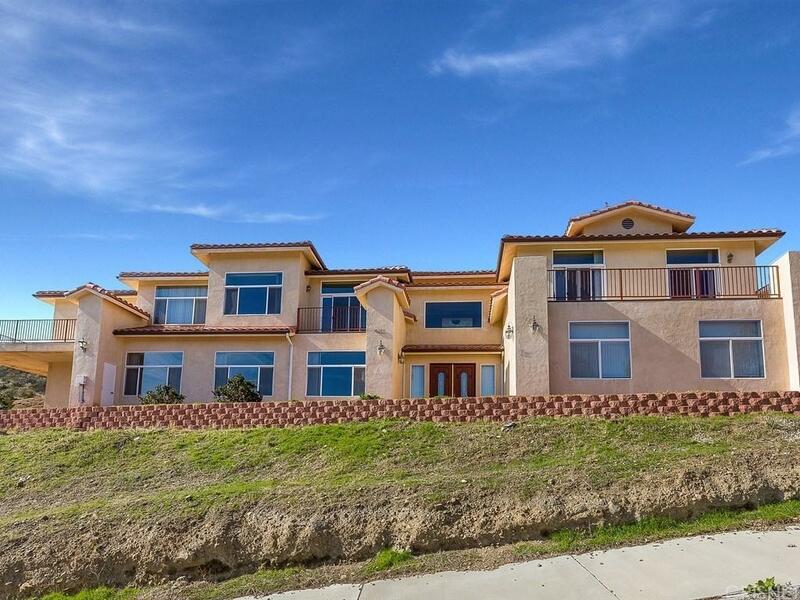 This private home in Agua Dulce boasts a wonderful master retreat, an office/den, four balconies and is almost 5,800 sf. of living space! The home offers ceramic tile and carpet flooring, plus has recessed lighting and/or upgraded lighting throughout. The beautiful spiral staircase with wrought iron and hardwood leads you to the spacious second floor. The chefs' kitchen boasts granite counter tops, dark cabinetry, stainless steel appliances, an island, breakfast nook and opens up to the family room. There is also a formal living and dining room for your family gatherings. The family room has a cozy fireplace with French doors and a slider leading to the amazing backyard. There is a downstairs bedroom with a large walk-in closet and its own bathroom with a shower and jetted tub. The master retreat has plenty of room with a huge walk-in closet, and 2 French Doors leading to the balcony. The master ensuite bathroom features dual vanities, a make-up vanity, a large jetted tub and a separate shower with a steam feature. there is plenty of outdoor living space with beautiful views surrounding this home. This home has it all!